August 10 2018 was a very difficult day for my family and myself. The barn on my parents property burnt to the ground. The barn was built in 1968 and was the home of Shamrock Counselling ( www.shamrockcounselling.com) and the non profit Sundance Solace Society ( www.sundancesolace.com). 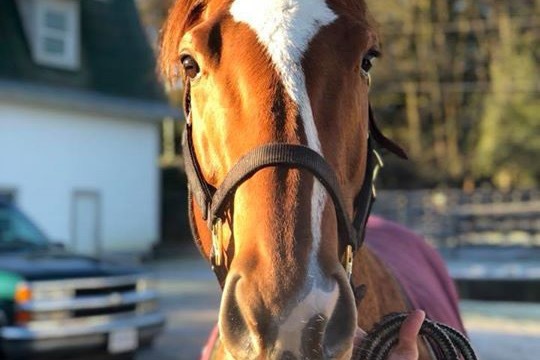 Both organizations offered equine facilitated counselling, where the horses help people as young as 3 years old with emotional and mental health. Our non profit would fundraise to give free mental health to our community. Our last project was with Peardonville Treatment Center in Abbotsford where we pulled funding to do a 12 week group for the women struggling with addiction. We have also worked with many other community organizations such as Abbotsford Hospice, Ministry of Child and Family Services, Plea Community Services, Abbotsford Youth Probation, various schools - Bakerview School for Learning, and Crime Victim Services, just to name a few. This year we were working to put a new ring in so that we could have year round proper footing for our horses and clients as well as re-do our upper ring and fencing. We got about half way through that project thus far so we have a lot of construction to try and figure out before the fall rains come. With your help! we will rebuild! Please consider donating to this worthy cause.